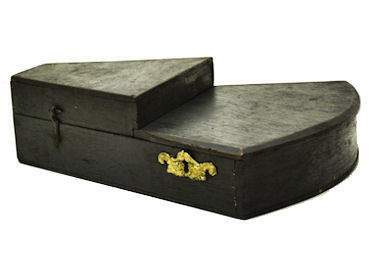 PRESENTED is a mid 19th Century "E. & G.W. 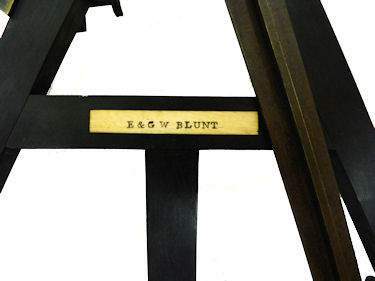 BLUNT" antique sextant with ebony frame, ivory graduated arc and vernier, and bronze machinery that is in remarkable condition, with a wonderful patina of age. 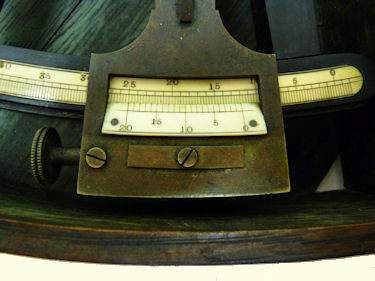 The arc measures from - 5 to plus 105 degrees.This carefully crafted instrument has a brass index arm with rib measuring 12 5/8 inches long dating it to 1850 or earlier. The frame has a width of 10 1/4 inches at the arc. 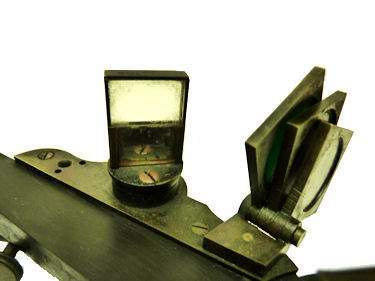 It is fitted with the early style ivory vernier scale, reading from right to left from 0 to 20 arc minutes, a peep sight with a single hole, three sun shades. and an index and horizon mirror. All the hardware has developed a wonderful dark patina over the last 162 years. Typical of the maker, the arc and vernier are sharply engraved. The central piece of ivory fitted on the cross bar is imprinted, "E & G W BLUNT". PROVENANCE: From a New England collection, possibly that of a museum. 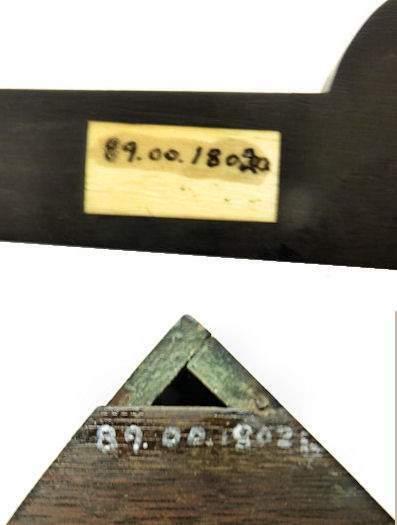 What may be an Accession Number, 89.00.18020 appears on an ivory pad on the back of the frame and also on the bottom of the case. PEDIGREED HISTORY: Edmund March Blunt opened a chart and instrument store in New York in 1811. His sons, Edmund and George William Blunt, trading as E. & G. W. Blunt, opened a similar store in 1824. In the early days, most of these instruments were imported. An advertisement from 1837 states: “One of the firm is now in England superintending the manufacture of Theodolites, Transit Instruments, etc.,–and any orders for Instruments not now on hand, will be forwarded to him, and executed promptly.” The Blunt firm was also noted for publishing a Nautical Almanac starting in 1850. In the mid-1850s, after having built a dividing engine, the Blunts advertised that they could “divide Astronomical and Nautical Instruments to a degree of precision which they will guarantee to be equal to the best of foreign make.” The firm, with its dividing engine, became Blunt & Nichols (in 1866), Blunt & Co. (in 1868), Eckel & Imhoff (in 1872), and H. A. Kolesch (in 1885). 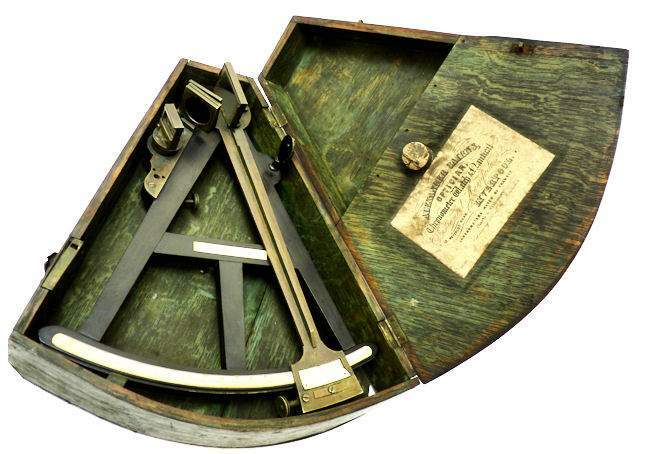 This sextant predates the company name change of 1866, and the fine Alexander Carins' label in its case supports the 1850 date. Carins was a Liverpool, England optician, instrument maker who also serviced instruments. They were active at 13 Waterloo Road until 1869. On August 4, 1871, equally renowned John Bliss & Sons purchased the famous Blunt & Co. The combination lasted for 100 years more. 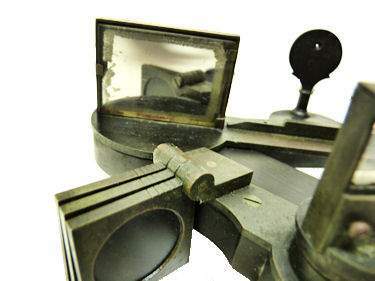 CONDITION SEXTANT: The instrument, its ivory name tag, its sharply struck graduated arc,and its hardware are of the highest quality for this period. The three bronze legs are original. All the machinery is original. There may be a second set of shades for the horizon mirror that is missing. The mirrors are in much better condition than would be expected for their age. All in all, a very rare sextant in excellent condition. THE CASE: The original stair stepped, keystone case, darkly finished on the outside with a light greenish blue on the inside, is in good, solid condition after years of service at sea. It has one age crack on the bottom and a small missing corner at the bottom right. There is a purpose made, counter sunk, hole in its center. Missing is the key to the lock. 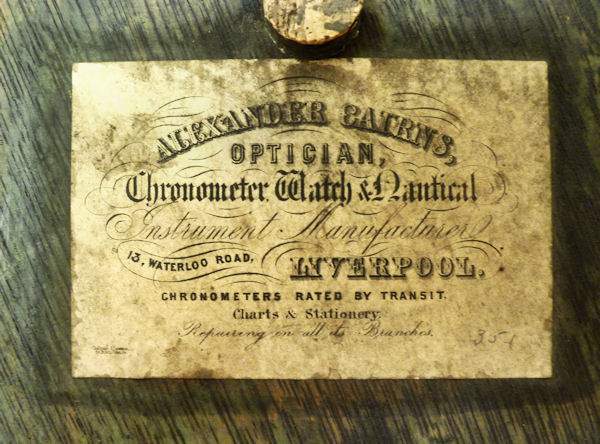 The inside cover has an excellent label of the Liverpool optician and instrument maker, Alexander Carins, that dates from 1869. 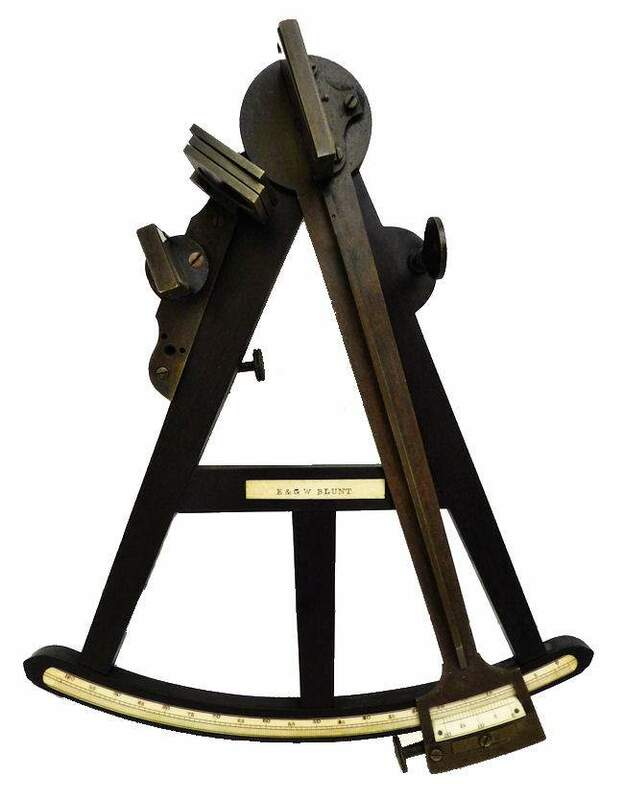 An outstanding and important sextant from a premier 19th Century American pedigreed instrument maker. Length of index arm 12 5/8"